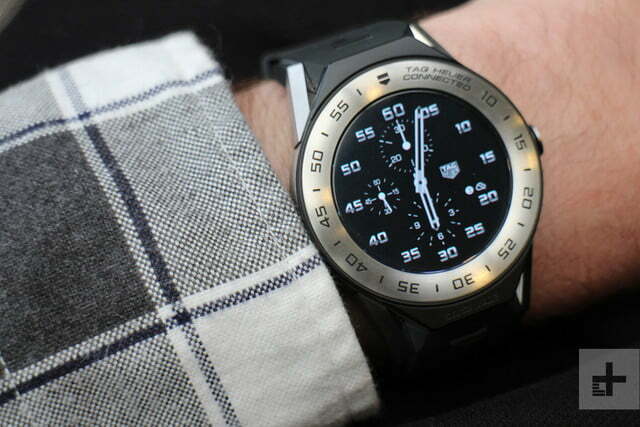 The Tag Heuer Connected Modular 41 is the most wearable luxury smartwatch on the planet. Bigger is not always better, but try telling that to luxury smartwatch makers. The Tag Heuer Connected Modular 45 is a 45mm watch that feels more like 45 meters, the Montblanc Summit is so large it has been scaled by fewer people than Everest, and the Hublot Big Bang Referee’s 49mm size swallows our wrist (and our wallet). Subtle they’re not, and they aren’t comfortable to wear either. Tag Heuer has the answer with the Connected Modular 41, a slightly smaller and altered version of the Connected Modular 45. Does shaving a few millimeters off make much of a difference, and does shrinking the size impact usability? Or is this the optimum size for a touchscreen smartwatch? We’ve been wearing the Tag Heuer Connected Modular 41 for a week to find out. This is a Swiss-made smartwatch, make no mistake. When Tag Heuer collaborated with Intel on the Connected Modular 45, the chipmaker explained to us how many design and technical alterations were necessary for both companies to be satisfied with the end result. This ranges from the watch body being clamped together with gaskets, rather than glued, to the ambient light sensor being concealed behind the screen so it doesn’t ruin the look. The commitment to making a true Tag Heuer smartwatch also shines through in the materials. It has a smooth, lightweight titanium body, and sapphire crystal over the screen for example. Does this matter? Oh yes. Titanium makes the Connected Modular 41 so wonderfully light on the wrist. It’s barely noticeable, and very comfortable. Unlike the Connected Modular 45, the Modular 41 doesn’t have a plastic back, giving it an even higher quality feel. The sapphire crystal is 2.5mm thick and subtly curved, providing the screen with more protection and visual depth, At least one person commented that they didn’t know it was a smartwatch at first glance, something that’s due to the beautifully engineered sapphire crystal, and expertly rendered Tag Heuer watch faces. 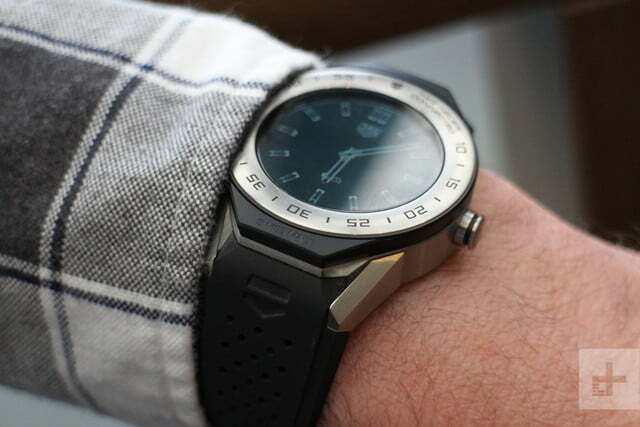 This is a Swiss-made smartwatch, make no mistake. The Connected Modular 41 looked exactly right on my wrist, and I regularly wear very big watches. 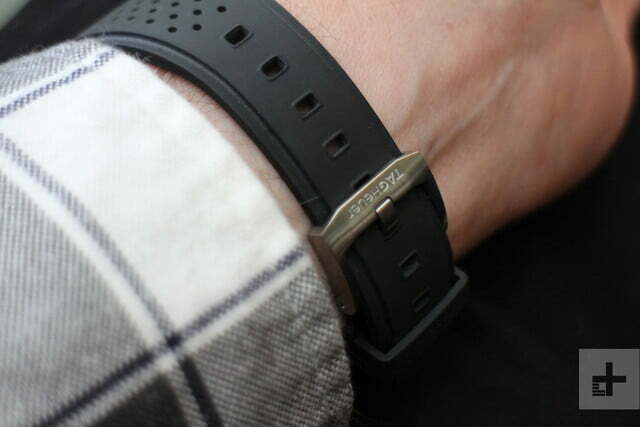 The lugs didn’t spill over my wrist, so you can see the whole design of the watch when looking at the screen. A luxury watch, smart or not, is worn just as much for our personal enjoyment as it is for functionality, and if it doesn’t sit right, it won’t make your heart pound. That’s important when you’re spending thousands of dollars. You’re not limited to one model either. 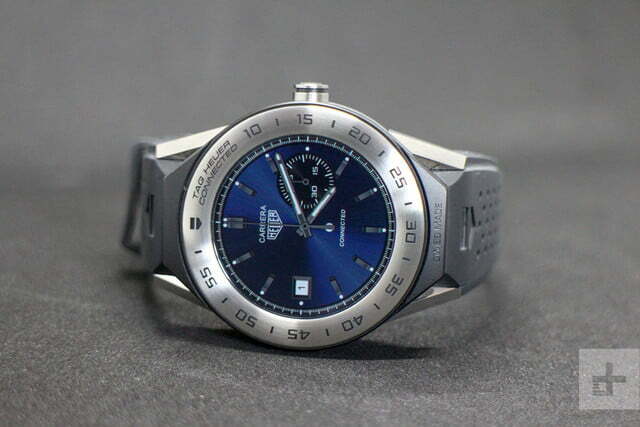 Tag Heuer produces seven versions with different straps, and in nine different colors. It’s also great to see the strap has a traditional buckle, and not the more complicated and much larger clasp on the Modular 45. 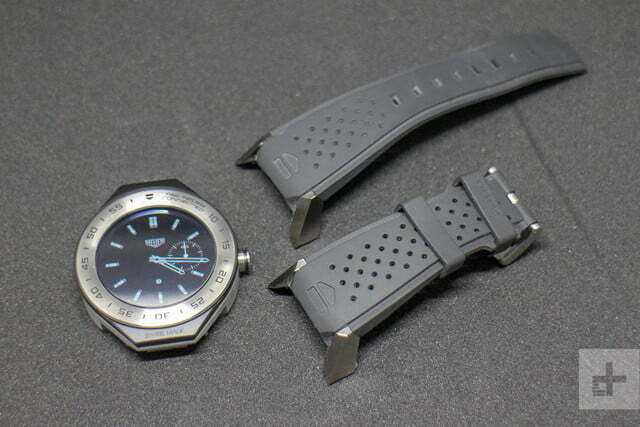 There are also two different strap lengths available, showing Tag Heuer’s thinking about male and female wrist sizes. 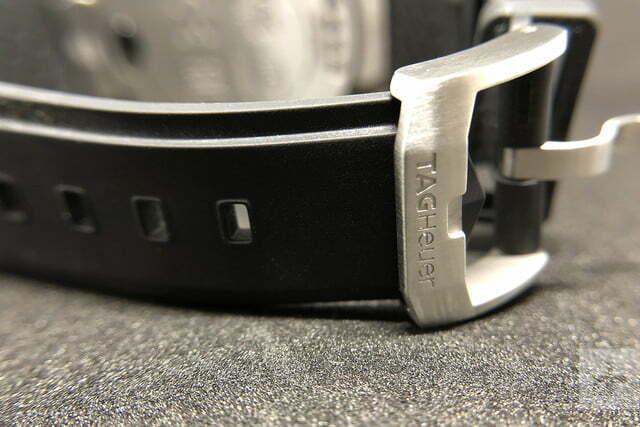 The rubber version we tested was small — it wasn’t our choice, but the only non-metal version Tag Heuer had at the time of review — but it still fitted well. The rubber is quite “sticky,” and would catch wrist hair when taking the watch off, because the keeper liked to grasp the strap itself very tightly. We liked the leather strap more, which has a rubber under section, making it more comfortable, more resistant to sweat, and longer lasting too. There are also two titanium metal link bands, which are ultra-light, and the black PVD version does look very swish, however the rubber and leather versions’ wider ends visually fit the watch’s body better. Tag Heuer has added a ceramic bezel to the Connected Modular 41, in either a black or polished finish, that adds to the durability. It surrounds a 1.2-inch AMOLED screen with a 390 x 390 pixel resolution. This is a little lower than the Modular 45, but the reduced size means the pixel density is higher, resulting in a sharper screen. It looked great indoors, and the brightness has been increased for outdoor use. We experienced no problems viewing the screen outside, helped by an anti-reflective coating added to the crystal, and the effective automatic brightness adjustment. We also cannot overstate the difference the thick slab of sapphire crystal over the display makes to the viewing experience. There is a stunning sheen to sapphire that glass or plastic lacks, which adds considerably to how great the watch looks in person. We got at least a working day’s worth of use out of the 345mAh battery, but we’d have to charge it every night to ensure two days of use. Battery drain was relatively consistent. 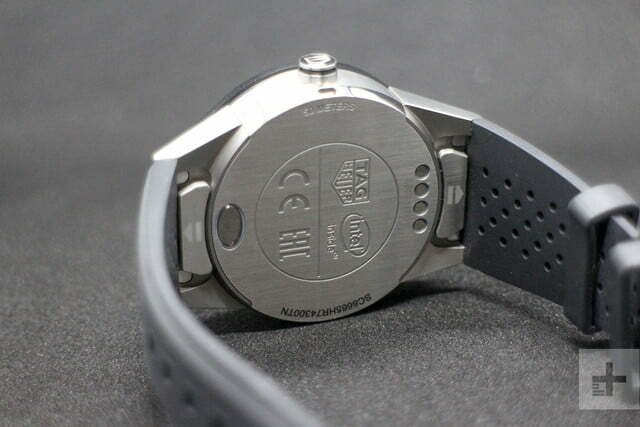 Charging is enabled using a disc that magnetically attaches to pins on the back of the watch. There’s no heart rate sensor, but we don’t consider this to be a fitness watch, so we didn’t really mind. 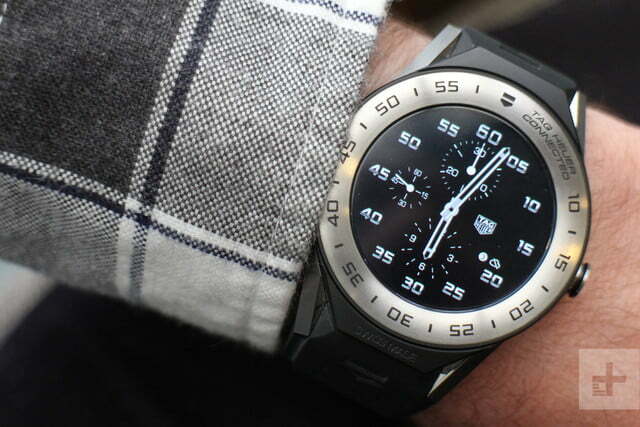 Examine the tech, and you’ll see the Modular 41 is the more technically-capable Tag Heuer smartwatch. The Modular 45 was produced in close conjunction with Intel, and once again it’s the company’s technology platform inside the Modular 41. Memory has been increased from 512MB in the Modular 45 to 1GB, and storage increased to 8GB. The watch connects to headphones using Bluetooth, and we tried it out in the gym. Downloading Google Play Music playlists is a pain, as it never completed despite multiple restarts. This may be a software problem though, as we’ve experienced the same problems on other watches. There is a stunning sheen to sapphire that glass or plastic lacks. 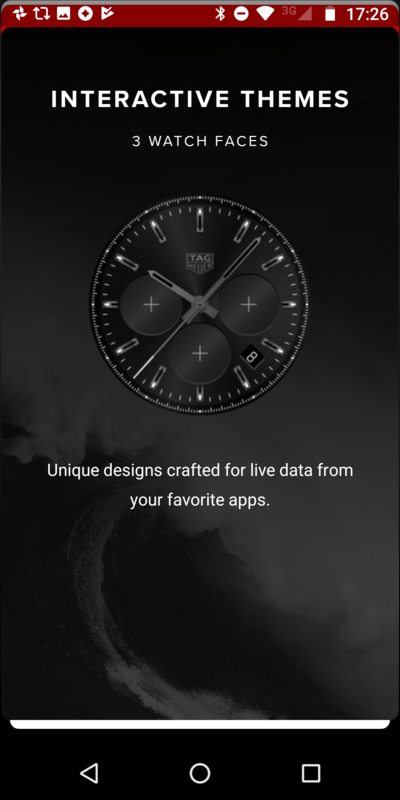 It’s Google’s Wear OS onboard, which is the same as you’ll find on any other Wear OS smartwatch, outside of some Tag Heuer watch faces. 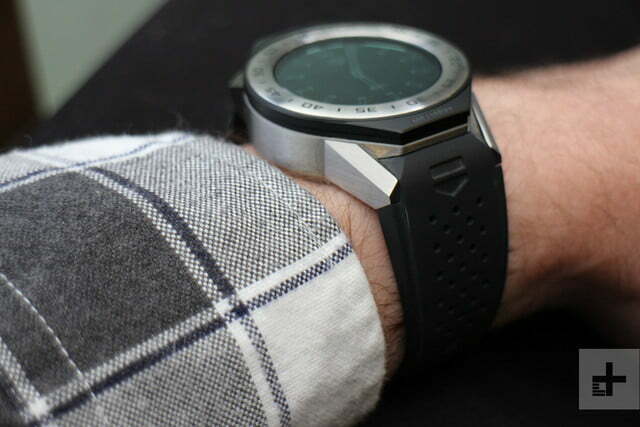 Intel has cut right back on development of its wearable platform, which is a great shame. 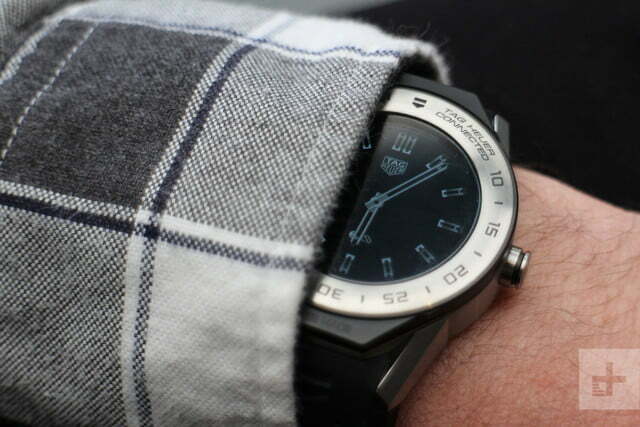 On the Tag Heuer Connected Modular 41 it’s responsive, quick, smooth, and stable. 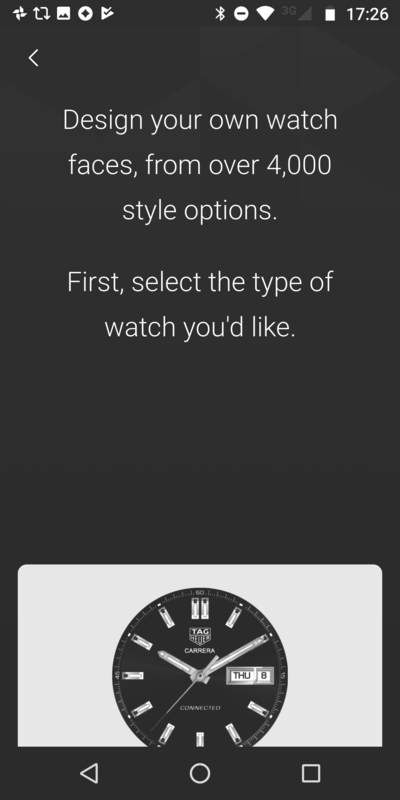 Connection to the watch is also very good, with data tasks happening quickly, including browsing the Google Play Store and using Google Maps The watch’s Intel processor is fast and the 1GB memory helps keep things zipping along. The watch has NFC for Google Pay, GPS for fitness tracking without the need for a phone, and Google Assistant with a long press of the crown. Sadly, the crown doesn’t control the operating system outside of a button push. It’s a shame a rotating feature to navigate menus isn’t included. 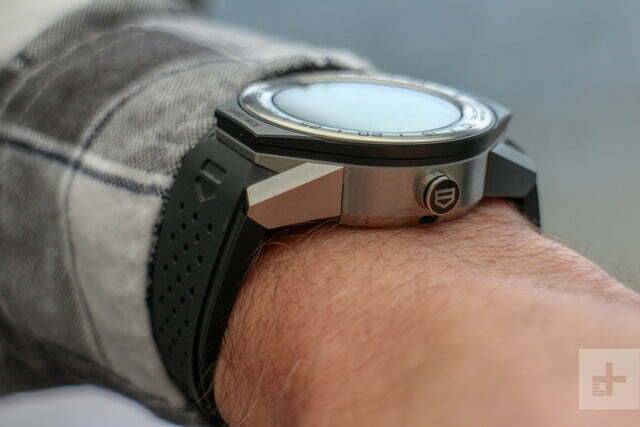 The vibration motor doesn’t feel overly aggressive, and the haptics the watch provides are just right. 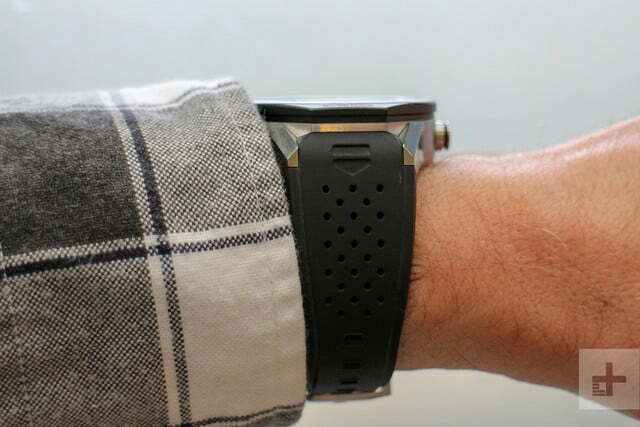 It’s a controlled, unobtrusive “buzz,” which isn’t overly audible, but you still feel it prodding your wrist. I didn’t miss notifications because it was too weak, and they didn’t jolt me to attention with a sharp, noisy alert either. Just right. 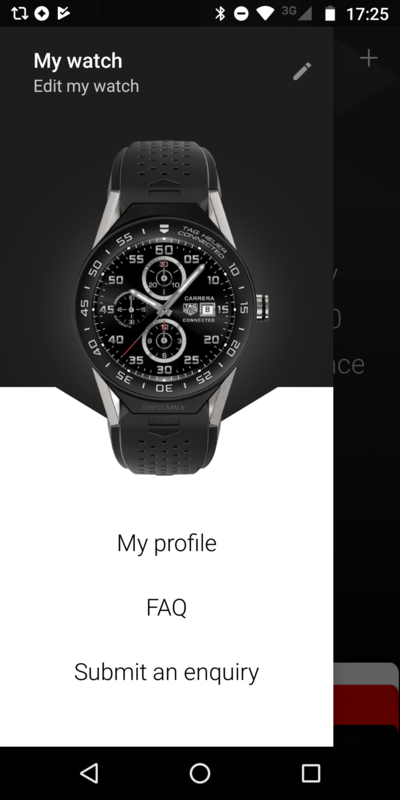 Tag Heuer also provides its own app, which we tried on Android. It’s expressly for designing watch faces, and is easier to do on the phone than on the watch, although it replicates functionality. There’s no fitness tracking, workout plans, or data related to activity. The Connected Modular 41 isn’t a watch you’ll throw away when the battery is dead a few years down the line, or one you’ll abandon when you want to wear a mechanical watch, or a different strap. The clue is in the name. You can strip the watch down and change components, changing straps, horns, and even the body itself, if your wallet has the required depth. 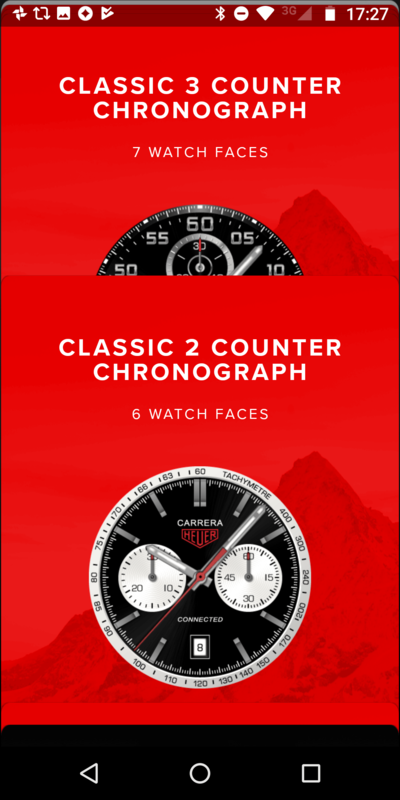 It’s very easy to do, and genuinely increases the lifetime use of the watch, particularly as you can purchase a mechanical Tag Heuer Carrera Calibre 5 watch body. This means swapping out the smartwatch body for a watch that doesn’t need charging, and still uses your existing strap and horns. The same positive design aspects of the connected body apply here too, with the converted mechanical watch looking great on the wrist. It’s an expensive endeavour though, with the best straps costing several hundred dollars, and the Calibre 5 body itself an extra few thousand dollars. It’s also unique. 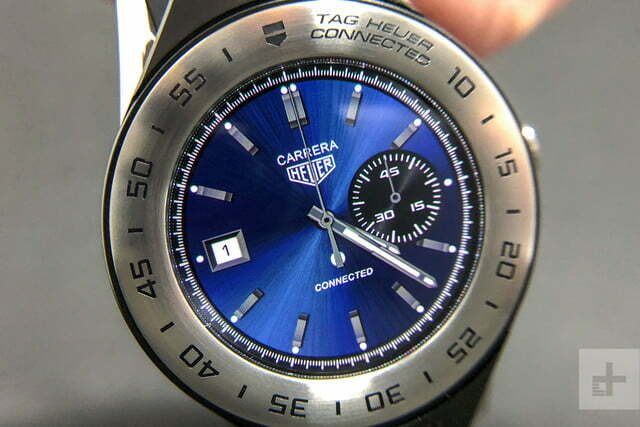 No other smartwatch company offers such customizability, outside a few straps, and even if you splash out on the Carrera body, the combination is still a “cheap” entry point into Tag Heuer watch ownership. The Connected Modular 41 starts at $1,200, or 1,000 British pounds, and goes up from there. It can be purchased directly through Tag Heuer’s online store, through its retail boutiques, and in authorised stores. It comes with a two-year warranty which covers manufacturing defects, and the company will repair or replace the watch for free during this time. However, it doesn’t cover normal aging of the battery, general wear and tear, the strap, or if the watch has been damaged by water or harsh conditions. The Tag Heuer Connected Modular 41 is a perfectly-sized smartwatch, with a technical specification that’s superior to its bigger brother, without sacrificing the unique customizability. Yes it’s more expensive than the majority of mainstream Wear OS watches, but it has a definite luxurious air, and we felt pretty special with it on our wrist. There are a lot of touchscreen smartwatches out there, and the vast majority cost a lot less than the Connected Modular 41. Although we really like it, it’s very hard to justify the additional cost if you’re simply looking for a smartwatch, and aren’t being tempted by the Tag Heuer brand and Swiss history. The size makes it the most tempting out of its main competitors — the Montblanc Summit and Connected Modular 45 — but the Movado Connect is half the price, and has a less aggressive design, making it more suitable for everyone. 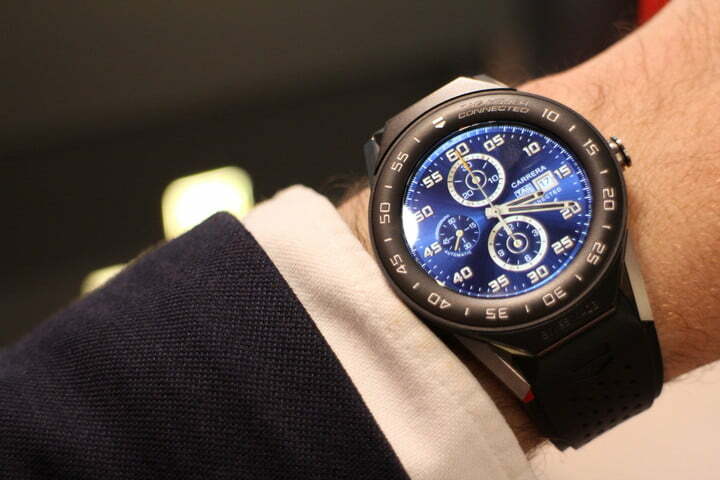 The perfectly sized, most wearable luxury smartwatch on the planet. If you’re not looking for a Tag Heuer smartwatch, then our current favourites are the $300 Samsung Gear Sport and the $350 Apple Watch Series 3. Don’t dismiss the growing number of luxury hybrid smartwatches either, which offer Swiss credentials and style, without a touchscreen and limited battery life. We love the Frederique Constant Hybrid Manufacture and the Alpina AlpinerX for example. The modularity helps avoid that worrying end-of-life aspect of any non-replaceable battery operated smartwatch, but it does come at a price. 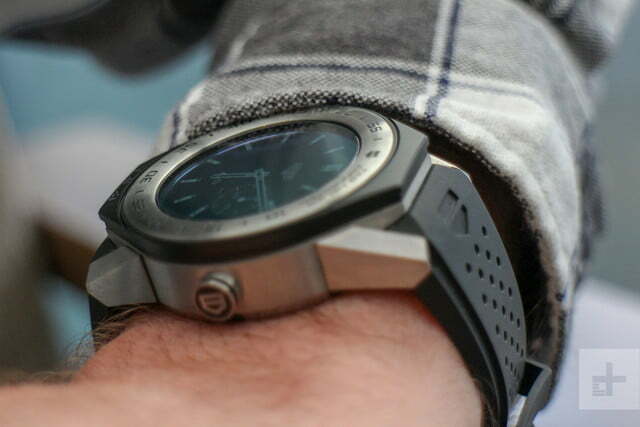 However, it’s a distinct benefit over other expensive smartwatches. Outside of this, the watch has water resistance to 50 meters, and is made of genuinely tough materials — titanium, sapphire crystal, and ceramic. You’ll have to work hard to damage or destroy the Connected Modular 41. Oddly, our review watch hadn’t yet received an update to Wear OS, Google’s rebranded version of Android Wear. It’s not missing out on many new features yet. Yes. 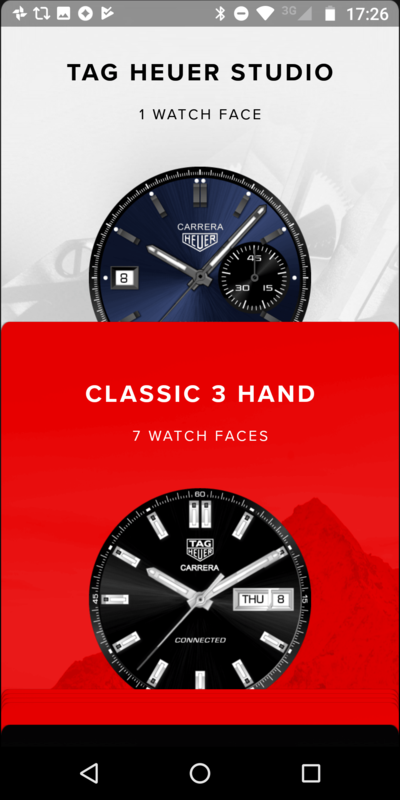 Tag Heuer has answered the question of what luxury smartwatch you should go out and buy with the Connected Modular 41. By shrinking the size by a few millimeters, Tag Heuer has carried out the impossible: It has created the perfectly sized, most wearable luxury smartwatch on the planet, and we liked it so much it had to be wrestled from our wrist. The Tag Heuer Connected Modular 41 is the ultra desirable, Swiss made luxury smartwatch we’ve been waiting for.